Overcoming addiction to alcohol, opiates, narcotics or any other substance may be more successful through outpatient procedures. Many patients say they feel more comfortable and secure in the comfort of their own homes, with the love and support of friends and family. ISN'T IT EASIER TO QUIT IN A CONTROLLED ENVIRONMENT? Many addiction treatment facilities recommend in-house programs, with the ability to monitor progress, restrict visitors, and maintain a stable environment. Although some patients respond well to this kind of treatment, they often experience difficulties in the transition period after leaving the facility. Upon leaving treatment centers, patient's typically find themselves unprepared to cope with the stresses of daily life, family situations, and encounters with acquaintances who may still be addicted. Recovery in the absence of temptation and without accessibility to drugs may seem easy. However, an unfortunate number of cases the apparent recovery lasts only as long as the in-house portion of treatment. Many find themselves retuning to substance abuse within less than 48 hours of returning home. 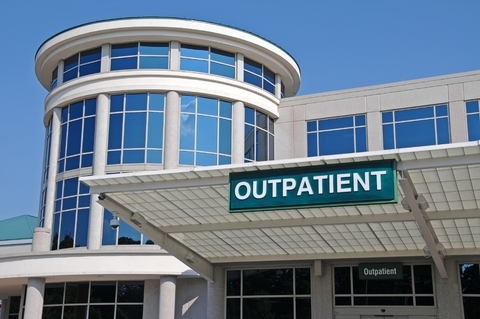 DO OUTPATIENT PROGRAMS REALLY WORK? Modern outpatient drug addiction treatment is a highly sophisticated, carefully monitored process, with a surprisingly high success rate for long-term recovery. The patient is not 'sent home and expected to tough it out' as many fear. Instead, the process involves frequent visits to the treatment facility, the full support of a trained and compassionate counseling staff, and any medications the patient may require. It typically begins with a detoxification program to ensure the patient is drug-free as quickly as possible with minimal withdrawal symptoms. Antagonist implants, such as naltrexone, may be provided to ease the recovery, and ensure the brain remains narcotic-free. Extended counseling and an elaborate support system is utilized to assist the patient through any difficult moments. Involvement of supportive friends and family is typically encouraged, as this is the support system a patient will rely on for the rest of his or her life.